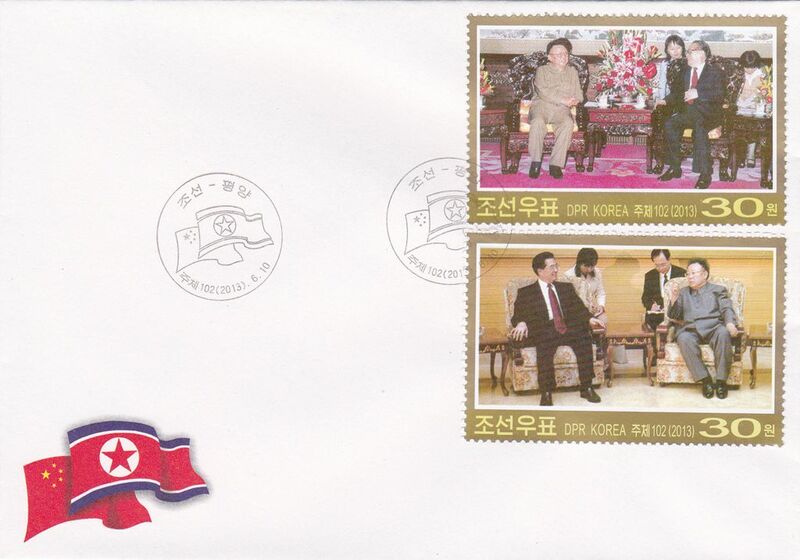 L9709, Korea "Kim Jong Il Meets Chinese Leaders" FDC Cover, Stamps, 2013. MNH. issued in 2013. First Day Cover with SS Stamp. Kim Jong Il visited China in 2013.